Our frameless shower enclosures can emphasize luxury in every bathroom. Due to the versatility in glass design we can help you create your own shower enclosure with one of our stunning frameless glass shower enclosures. Combining both aesthetics and craftsmanship we will enhance the design and performance of your new frameless shower enclosure. From a single glass partition to a semi frameless bypass or custom European Steamer Door we can design virtually any enclosure. 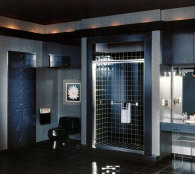 If a frameless shower door is not for you please click on Framed to view our framed units. Your options in framed units are numerous as well. The stability and function of the enclosures are what contributes to the continuous quality of these enclosures. Our framed units are versatile in every application for your single swing doors, doors with fixed panels, bypass sliding glass doors or steamer units. 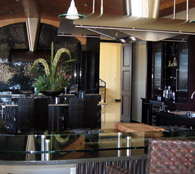 Our framed units are flexible to incorporate any design with virtually any combination of angles. From a single glass partition to a semi frameless bypass or custom European Steamer Door we can design virtually any enclosure.